DYSPHAGIA COMMUNITY — MassTex Imaging, LLC. MTI created a Word Find Puzzle you can share with your co-workers to celebrate Better Speech & Hearing Month. CLICK TO ENJOY THE WORD FIND PUZZLE! Thank you for all you do each and every day for your patients living with swallowing disorders. Celebrate your month. Bring your passion for your profession to others. If you are interested in having Joan Kelly Arsenault, MA, CCC-SLP BCS-S present or provide a FREE in-service at your facility/agency, please contact Charlene McKenzie, Vice President of Business Development at 978.750.0300 or email her at charlene@massteximaging.com. MassTex Imaging, proudly adopts the International Dysphagia Diet Standardization Initiative (IDDSI). Please contact Charlene McKenzie, Vice President of Business Development at 978.750.0300 or email her at charlene@massteximaging.com. The modified barium swallow study (also known as a videofluoroscopy swallow study [VFSS]) is considered the “gold standard” instrumental evaluation for viewing the physiology of the swallow and determining the presence or absence of aspiration (Logemann, 1998; Swigert, 2007) (FIGURE 18-3). FIGURE 18-3 A speech-language pathologist performing a modified barium swallow study (MBSS). Note the X-ray equipment. 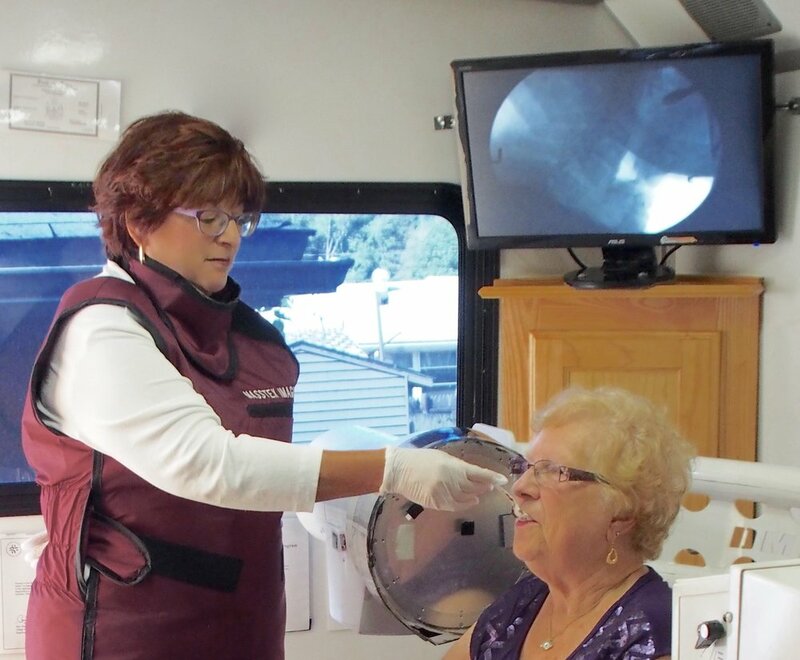 Joan Kelly Arsenault, MA, CCC/SLP, BCS-S demonstrating MBSS on MassTex Imaging’s Mobile Clinic 2016” MassTex Imaging providers Mobile Dysphagia Consultations throughout New England. (www.massteximaging.com). The SLP carefully observes on the video screen the patient’s oral preparatory, oral, pharyngeal, and esophageal phases of swallowing (FIGURE 18-4). 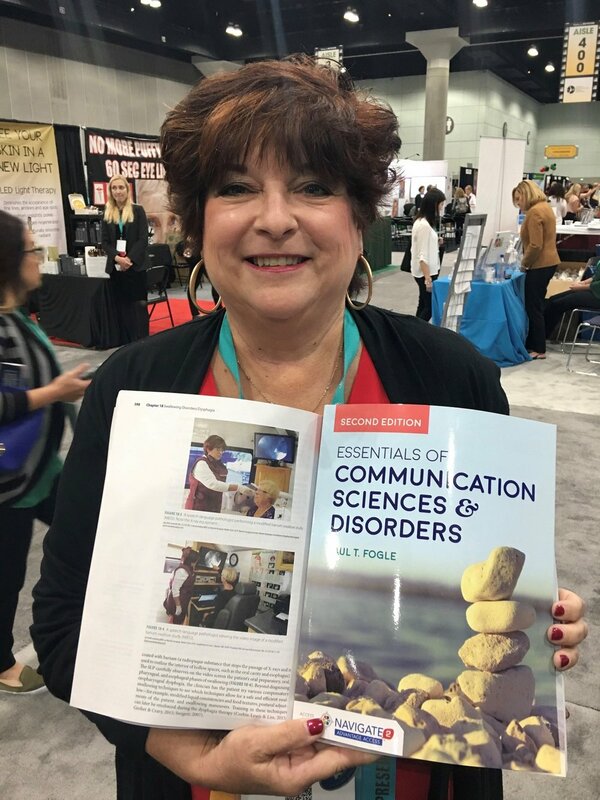 Click here for the Essentials of Communication Sciences & Disorders book. Methods of thickening liquids are variable among healthcare providers/caregivers. 19 healthcare providers/caregivers thickened water to nectar, honey and pudding thick consistencies using their facility's preferred thickening agent and protocol. Samples were tested utilizing the International Dysphagia Diet Standardization Initiative (IDDSI) Flow Test to determine if thickness criteria was met. Visit our website for the results. Moving a bolus safely through the pharynx is a complex event. Epiglottic Deflection (ED) plays a role in both bolus transport and airway protection; but while much is known about epiglottic movement, surprisingly little has been published correlating it with penetration and aspiration. This study aims to identify the impact of ED with the risk of airway compromise in dysphagic adults. Poster/results located on our website. The calming powers of a stuffed bear: An SLP and OT use a technique for self-soothing and self-regulation to help people with cognitive impairments focus on—and enjoy—eating.